Nothing will get your friends and loved ones back on their two feet quicker than delicious Boyer candy! When you’re looking for get well soon gifts that are sure to help put a smile on someone’s face, you can’t go wrong with candy gifts from Boyer Candy Company. 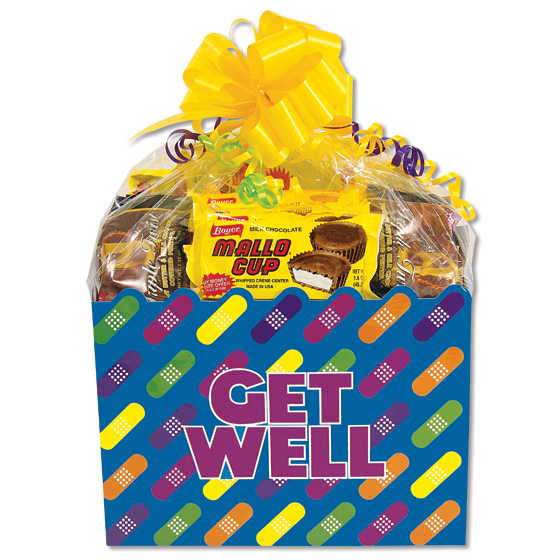 Our Get Well Soon Gift Box comes with an assortment of Boyer’s chocolate, including Mallo Cups, Peanut Butter Cups, and other delicious treats.